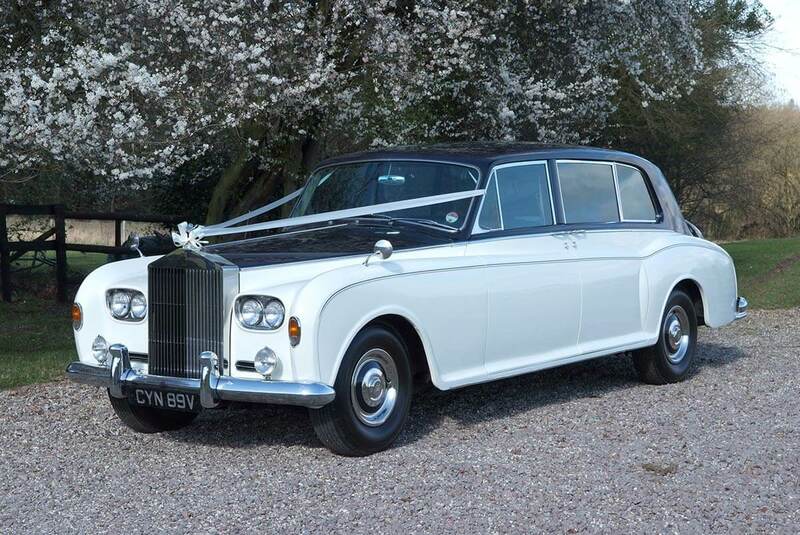 A perfect vintage wedding car for hire in Essex, the Rolls Royce Phantom V is both luxurious and stylish. This elegant vintage wedding car, is finished in an eye catching midnight blue and cream livery. 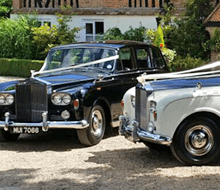 The sumptuous interior of this spacious vintage wedding vehicle seats 6 passengers comfortably and a blue leather upholstery and golden French polished walnut veneer gives this vintage wedding day transport a feel which we think is truly luxurious.